Fun to drive, affordable and speedy. My mini convertible is so much fun to drive! It amazes me such a nice car can come in such a small affordable package. The ride is smooth, it accelerates quickly, and “fun” is really built into the design. My only Complaints would be that some of the sensors (tires etc. ) Can be a little sensitive to temperature changes. Also, the blinker is a little tricky to use as it does not stay “on” when you use it unless you press down hard. I believe this has been fixed on newer models. The most fun you can have in a car. My car is a convertible which adds to the great fun of mini. However, I have a base engine (non-s) so the take-off is a bit slow for what I am used to. I have also had quite a few problems with failed sensors, but the dealer has always taken care of me without any issues. Nothing ever affected the drive, just threw fault codes. I have custom mocha/blue seats that I love and really give the car even more style. I definitely get compliments from a lot of people. My mini cooper. It's a fun car to drive, lots of storage space, and great on gas. 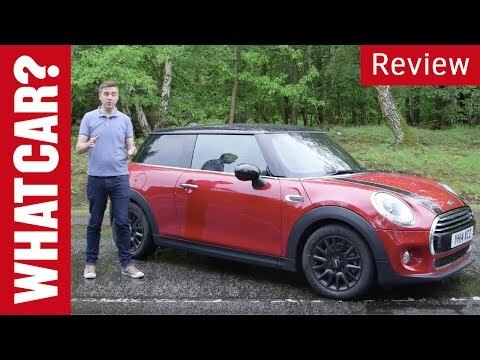 The mini has been a great investment, it drives great and has all the good feathers that I need like very nice pick up when you need to pass someone on the road. Great gas mileage. I can fill up my car and go to work for two weeks on one tank of gas. It looks like a compact car but it can hold a lot especially with the fold down back seat. The back seat can fit 3 people. The hidden back trunk space is a neat compartment to store your valuables.